Each box inspires you to incorporate more fresh local vegetables into your diet. Pick 7-9 items. We custom pack your 3/4 bushel box and deliver it. WEEKLY 20 total weeks of delicious, local, organic vegetable csa boxes every week from June through mid-October. EVERY OTHER WEEK 10 total weeks of delicious local, organic vegetable csa boxes spread out every other week from June through mid-October. Saturday we send you a link to customize your box. Monday is deadline to submit your order. Tuesday & Wednesday we harvest your produce. Thursday we deliver it fresh to you! We partner with Three Brothers Farm in Oconomoc to offer eggs from their free-ranging pasture raised chickens with our vegetable csa. 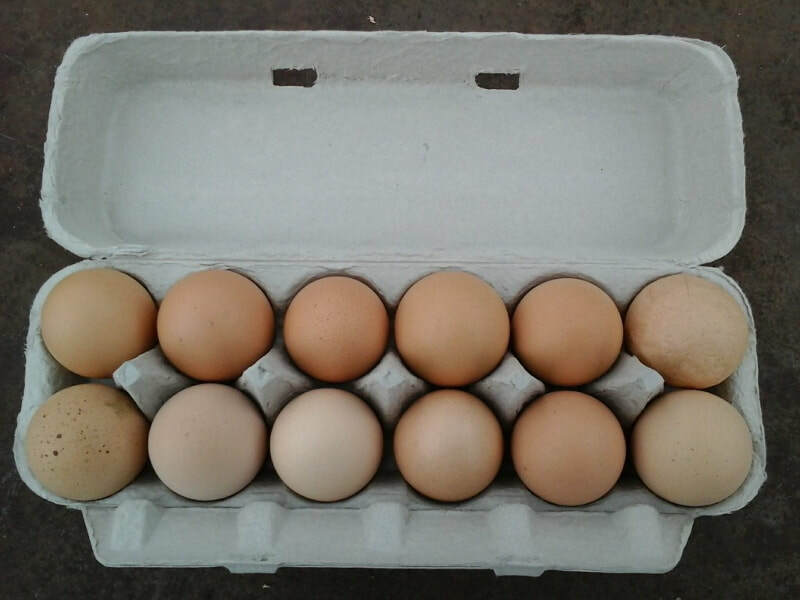 Eggs are 5.50/dozen and available in shares weekly or every other week. *all discounts and fees will be applied at the end of the sign up process. Sign up to help out for 3 out of 4 available Saturday work sessions at the farm and we will email you a coupon code to save $50 on your share.